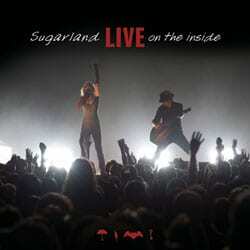 Sugarland will debut the upcoming DVD from their CD/DVD release Live On The Inside in 35 theatres across the country on Thursday, Aug. 6. The one-time screening will happen just after the combo package is released exclusively at Walmart on Aug. 4. Shot in high definition at Rupp Arena in Lexington, KY, director Shaun Silva captures Jennifer Nettles and Kristian Bush performing 16 songs. The movie will be shown locally at Nashville’s Thoroughbred 20 and Murfreesboro’s Wynnsong 16. Sugarland’s worldwide theatrical premiere is in partnership with D&E Entertainment. Click here to view the movie trailer. Or for participating theaters and to purchase tickets click here.